New Orleans is an old, thick book that I’ve barely managed to crack open in my two (so far) visits there. But I love it, pure and simple, and can’t wait to get more of it. But then who wouldn’t? It takes one meal at Bayona, a few morsels of chargrilled goodness at Acme Oyster House, or a bite o’beignet at Cafe du Monde to want to stay forever. (Yes, there is a pattern here: a path to my heart often leads through stomach.) Most visitors never venture outside the French Quarter – and although there is surely enough there to keep you busy, there is definitely more to the city. Colorful shotgun houses and beautiful Holy Name of Mary Catholic Church are just a short ferry ride across the Mighty Mississippi in Algiers Point. Impressive mansions – including the house where Jefferson Davis died in 1889 – are only a streetcar-hop away in the Garden District. And then there are the cemeteries. Ancient white vaults, angels cast in stone, and faded names carved on weather-worn tombstones tell the story of generations past. St. Louis Cemetery #1, the oldest one in the city dating back to 1789, is the closest to the French Quarter. It’s just across North Rampart Street and yet ages away, stretching back to the time when this place was called Nueva Orleans. The city was founded in 1718 and named after Philippe, Duke of Orléans, who was Regent of France at the time. France ceded the colony to Spain in the Treaty of Paris (1763) that ended the Seven Years’ War – a global clash of contemporary powers that resulted in complex land swaps such as this one (among others, the treaty also marked the return of Manila under Spanish rule after a wartime period of British occupation). 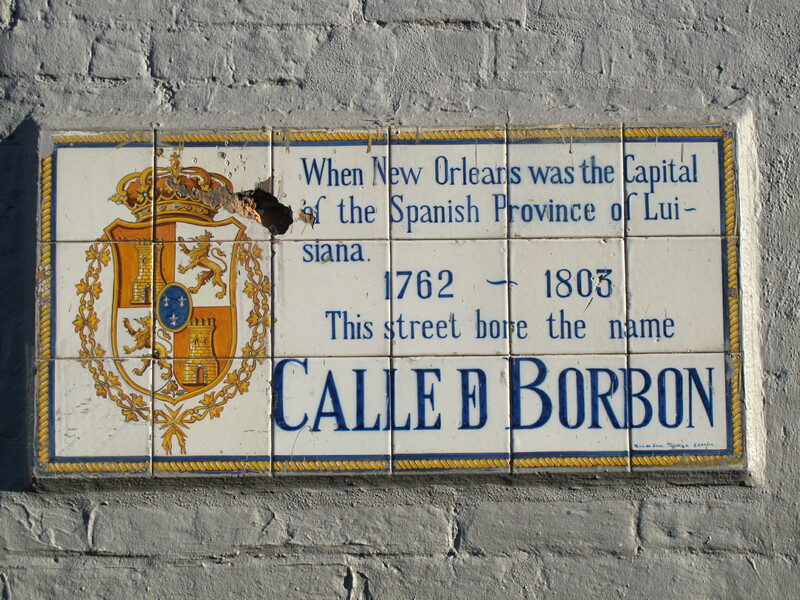 New Orleans remained in Spanish hands for almost 40 years and most of the architecture in the French Quarter comes from that period, as beautiful ceramic street signs remind passers-by. 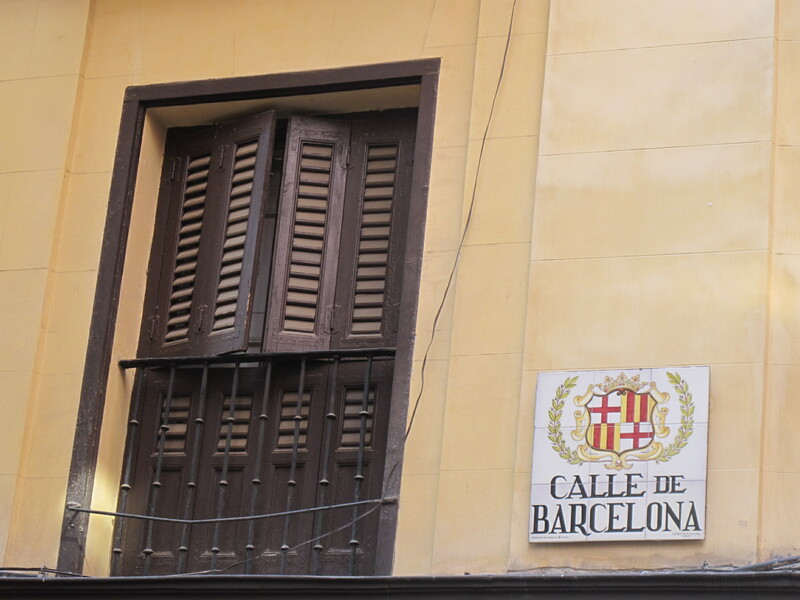 With Spain fresh on my mind, I keep thinking that those signs would be equally at home in Madrid. In 1800, the city reverted back to France as a part of Napoleon Bonaparte’s grand – but ultimately failed – plan to expand the French empire in America. Getting Louisiana back from the Spanish was a crucial element of this scheme, with the Mississippi Valley meant to supply food and trading goods for French colonies in the Caribbean. So Napoleon signed a secret treaty with Spain, negotiating the return Louisiana. But there was a pretty serious problem with this ambitious vision. Slaves rebelled in Saint Domingue, French colony on the island of Hispaniola. It was the richest place in the Western Hemisphere at the time thanks to lucrative sugar cultivation and was supposed to be the heart of L’Empire. Except the rebels won. By the time the country we know as Haiti declared independence in 1804, cash-strapped Napoleon had sold Louisiana to the United States. The Haitian revolution had a great impact on New Orleans and in many ways shaped the city as we know it today in terms of its multiracial and multicultural mix. The influx of French Creoles and their remaining slaves fleeing the island doubled the city’s population and helped preserve its French culture. Ever since, French, Creoles, African Americans, Cajuns, and Latinos to mention just the most prominent groups all have been a part of this delicious gumbo of a city (yes, thinking about food again! Did I mention mouth-watering beef brisket at Tujague’s?). The city that dances to its own beat, best heard on Frenchmen Street by the way if you want to get away from Hurricane-slurping youths on Bourbon Street. With nearly 300 years under its belt, New Orleans is a place like no other. And it is a survivor that keeps on walkin’ no matter what. Just like it did after the Great Fire of 1788; just like it did after the catastrophic flood of 1849; just like it did after a near-death experience in 2005. As tempting at it is to go into a rant about Hurricane Katrina and government response to it, I’m not going to do that here. John Goodman’s character on Treme summarized it best anyway, aptly using a variation of the same word as a verb, an adjective, and a noun. 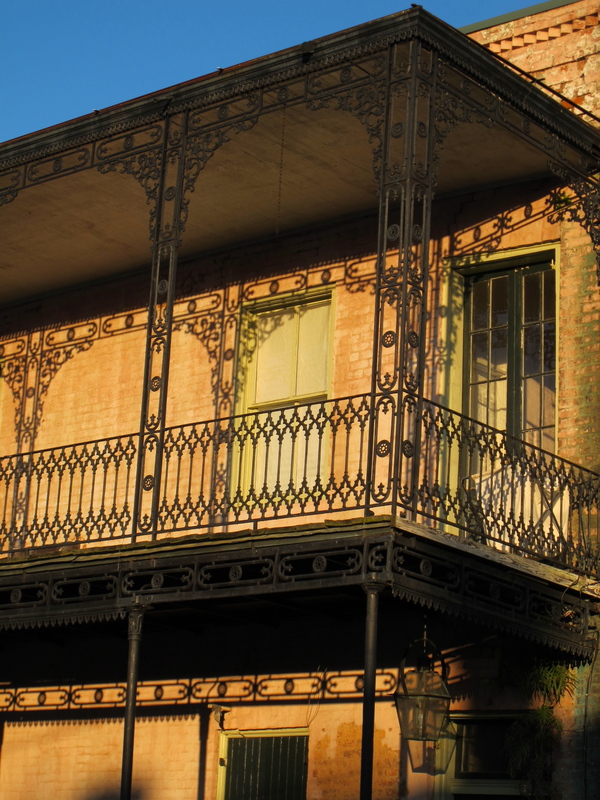 New Orleans will be just fine, just like it always has been – laissez les bon temps rouler!